In todays's episode, because of Pillu"
3. Kashif AAM is crying. (Chhup-Chhup ke Jhaadi ke paas...footage not shown)! 4. Pagloo Vrijesh is crying too! And above all, AUDIENCE IS HYSTERICALLY WEEPING! 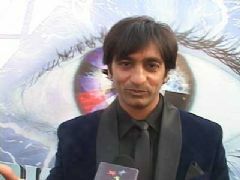 Pillu Bhagao, Big Boss Season-6 Bachao! Otherwise, Really ALAG CHHE, ALAG CHHEEE --- BAN JAAYEGA! Ghar ke peechhe, jhaadi ke paas ro raha hai! Maybe Urvashi is the one who needs to be shown the exit door! lol somehow i dont like this touchy pillu! !